Handmade by Heidi: Friday Night Sew in Signup!! Friday Night Sew in Signup!! Yes!! It's finally here again! This month has flown by. I am anxious for this coming Friday night. I have big sewing plans... BIG!! I have a lot to get done for Christmas and I'm already falling behind. So make a commitment and put your name on the list. Don't forget to add your State or country so we know where we all are!! I'll be out of town, but I'll do my best to get some stitching in if possible! I just recently found your FNSI last month, and have been waiting for the next Sign UP! I've got a quilt top to quilt for Christmas so that is the first on my list. Thanks for Hosting! Looking forward to joining you and getting lots done on Friday. Can't think of anything better to do on a Friday night than spend it in my sewing room! Oh no! Forgot to add my state (Oregon). Haven't done FNSI in a very long time. Looking forward to it! Perfect night for this - the kids will be at their Dads house! Thank you for hosting Heidi! I had such a lovely time joining in with Cheryll's Stitch-a-long and have wanted to join in with you girls for ages and so here I am with needles sharpened. I love my Friday night sew-ins!! I'm in, hope to make family stockings! I am looking forward to it. Thanks for hosting. Hi! I'm in! I hope to get a good start on the 3rd section of my Just Takes 2 quilt! Yay for me I can get a good long FNSI this month, as hubs is away and I can stay up very late, LOL! I haven't taken the time to join up for a while, but it's about time. I have one quilt to finish and another to begin. Count me in too!!! Got LOADS to sew on Friday night! I'm bacK. Looking forward to a great FNSI with the girls. I'm hoping to be able to get some stitching in this Friday (and in to Saturday). I haven't done FNSI in a long time! I'm looking forward to it! Have a lot of handstitching to do. Perfect on a Fridaynight! I'm looking forward to FNSI! I have so much to work on before Christmas!! Diwali is just finishing today! And I have a whole list of things to be done for an exhibition next month! I'm going to take this opportunity to finish off at least 50 crayon rolls! Fabulous timing Heidi, I desperately need this FSNI! 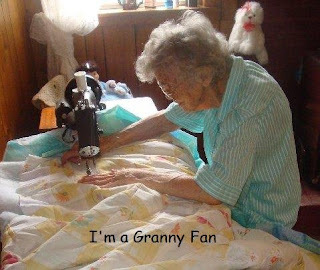 I'm going to a play on Friday night but will have half an hour that I can do some sewing in. Not sure I'll get a chance to play along this time since it's a single-parenting week, but I'm signing up anyway just in case I manage to sneak a few minutes to myself. I've had to miss it these last several months, but I'm gearing up this month! I am hand quilting a very old UFO and looking forward to a long evening of steady stitching! Luckily I didn't forget this time! Looking forward to time out from family tonight. I'll be stitching at Little Athletics tonight! I signed up this month. Finishing up Christmas gifts. Lots of Christmas stitching to do! I'm so looking forward to joining in. i live in a quilting desert in very rural France, so it'll feel wonderful to be part of this group. I think I will try and finish a cushion I am making. Great stitching along side everyone! It has been a long time since I have sewn with all of you on a Friday night, but I'm ready to get back in the swing, again. I have three Christmas quilts I need to bind! Happy quilting!!! I am going to try very hard to stay awake after 7:00 tonight and sew! I am making travel blankets for each of my grandchildren since they are traveling a long distance to their other sets of grandparents for Christmas. I have to have them finished by next Wednesday morning as I am traveling down to Virginia to spend Thanksgiving with them. I think everyone needs at least one early Christmas gift! This will be my first time joining in on your Friday night sew ins! So hard to decide. Do I work on my flying geese quilt or the blue and white one???? So many decisions!!!! Yay...I needed this to get me going on piecing a baby quilt. I'll get out my Featherweight for this one....it'll be a good story, too! Thanks for hosting. Will there be a FNSI for tomorrow night? Is it this Friday we are doing FNSI Heidi??? Hope I'm not too lateto join in!